The Board also is scheduled to take up an amendment to the official zoning maps of the county that will convert back to business five parcels of land in the center of Eastville, a small community at the intersection of Hodges Mill and Malcom Bridge roads in the northwest of the county. The BOC meeting is scheduled to start at 7 p.m. in the courthouse in Watkinsville. The Board, on the initiative of Chairman Melvin Davis, replaced all three of its representatives on the Bioscience Authority in early February, removing former Commissioner Chuck Horton, who had been elected Authority president. The BOC named Tom Odom, then interim president of the Chamber of Commerce, to the Bioscience Authority at its meeting on Feb. 12, with his term ending Dec. 31 of 2014. Odom’s name is circled in red on a copy of the minutes placed on the county’s web site in advance of the meeting on Tuesday, suggesting that he is likely to be the topic of discussion on Tuesday night. Kay Keller replaced Odom as Chamber president earlier this year. It is possible the Board could revisit all appointments to the Bioscience Authority, as its action in February was inconsistent with the terms of appointments to the Authority. Those appointments expired in May on a staggering basis, and Horton's term had not expired. Davis had proposed removing Horton, who had unsuccessfully challenged him for the chairmanship last year, from both the Bioscience Authority and from the Hard Labor Creek Regional Reservoir Management Board, and the Commissioners went along with both proposals. The BOC subsequently appointed Horton as a nonvoting alternate member of the HLC Management Board. The Board has the authority to appoint citizens to the Bioscience Authority, but citizen applications were not sought before the Board made its appointments in February and have not been sought in advance of Tuesday's meeting. The Bioscience Authority appointments and the water and sewer review were not on the tentative agenda for Tuesday’s meeting released by Greathouse on Aug. 23, but she did include the water and sewer update in her review of Tuesday’s agenda at the end of the BOC agenda-setting meeting last Tuesday. She made no mention of the Bioscience Authority, which is scheduled to be dealt with Tuesday under the personnel section of the agenda. Notes released in advance of the meeting on Tuesday indicate that Utility Director Thomas will discuss a part of the McNutt Creek Sewer line, which had been at the center of a BOC controversy in 2011. He also will discuss land acquisition for a sewage treatment plan on the Middle Oconee River. 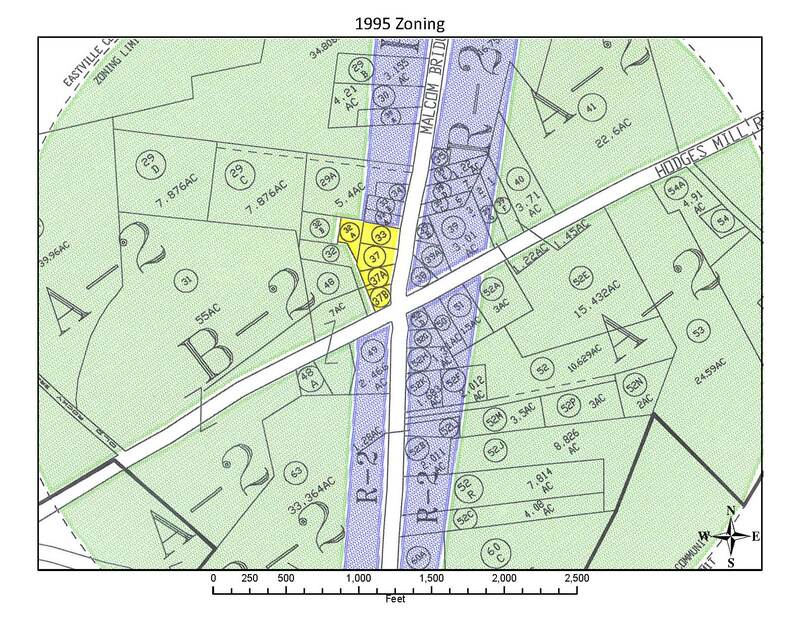 Brad Callender, Oconee County planner, said in an Aug. 9, 2013, memorandum to the BOC that the five properties in the Eastville community previously were zoned B-2 (Highway Business) and were, through “an unintended mapping error,” changed to AR-1 (Agricultural-Residential 1-Acre). 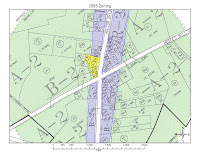 An old 1995 zoning map prepared by the planning staff shows the properties as B2, while a 2012 map shows them as AR-1. The planning staff said the error was the result of a conversion of the old map and asked that the property revert to its status in 1999. The Planning Commission recommended approval of the change at its meeting on Aug. 19. Three of the five affected properties are owned by Ray Little, 1334 Criswell Road, Monroe, according to tax records. A closed retail shop for all terrain vehicles with a For Sale sign in front sits on two of those three properties. The third lot is unimproved. The fourth lot is owned by Samuel F. McLean, 1303 Hodges Mill Road, according to tax records. It contains a one-family home built in 1920 and actually fronts on Malcom Bridge Road despite the address. Behind this property is the fifth property, owned by Fred McLean, with the same1303 Hodges Mill Road address. A storage warehouse is on this property, according to county tax records.